Are you struggling with what to do with your child after school? Having trouble getting home by 2:30 p.m. to pick up your child? Do you have an appointment and can’t get to school to pick up your child? Do you have to work late today? Do you want someplace safe and fun for your child to go to after school? Well, C.A.S.T. is the place for you and your child. Your child can come as little or as much as you need him or her to. It can even be on the spur of the moment. As long as they are registered you can call that day and we will be able to keep them. For more information, call Theresa Schrand at 641-2137 ext. 804. 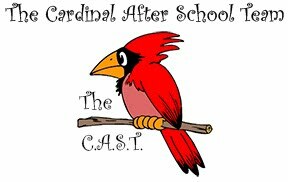 We would love for your child to be a part of our C.A.S.T. !